We bring forth a wide array of Welded Wire Mesh. 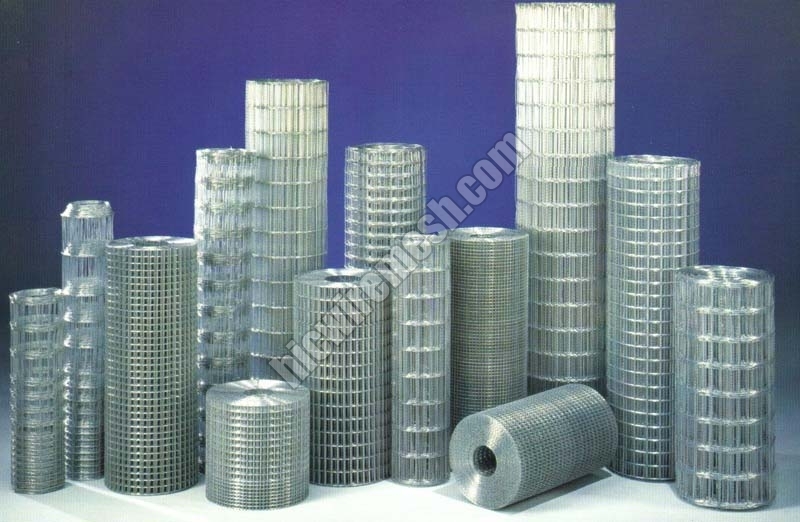 Our company is a distinguished Manufacturer, Supplier and Exporter of Welded Wire Meshes from Varanasi, Uttar Pradesh, India. The Welded Wire Meshes offered by us are manufactured using Mild Steel black wires, Galvanized Iron Wire and Stainless Wires up to 2.50Mtr width and 15.24Mtrs in length. Our Wire Meshes are used for fencing, window grills, partitions, compound walls, guards for electric motors , poultry cages etc. Weldmesh and General Uses : Weldmesh is one the product that is widely specified for a multitude of uses throughout industry, building and construction, agriculture and horticulture. Weldmesh offers infinite possibilities for usage, including partitions and enclosures, machinery and window guards, tree guards, grilles, shelving and racking. Additional uses include safety barriers, security cages, fireguards and fan guards, fencing and gates, stairways, balconies and catwalks. For agricultural and horticultural applications, uses include poultry pens and flooring, animal pens, cages and aviaries. Weldmesh is also used for crates for packing and materials handling, pallets and cable trays, garden protection, display work, litter bins, clothes and storage lockers. Welded mesh guards are manufactured using Weldmesh to protect windows, fans and ventilators. Industry & General uses safety : Safety is a major concern wherever moving machinery is involved. Weldmesh machine guards satisfy the OSHA specifications and allows good visibility to the operator while acting as a safe, protective shield. Safety barriers to segregate pedestrians from traffic are another important safety feature dealt with by Weldmesh. Weldmeshes are applicable at stairways, balconies, catwalks and barriers on elevated walkways. Storage : Weldmesh offers simple, economical and secure storage applications such as consumable stores, finished product dispatch areas, lockers and changing rooms. Security : Weldmesh offers the ultimate "No Entry" barrier for gate cladding, outside storage areas, window guard.